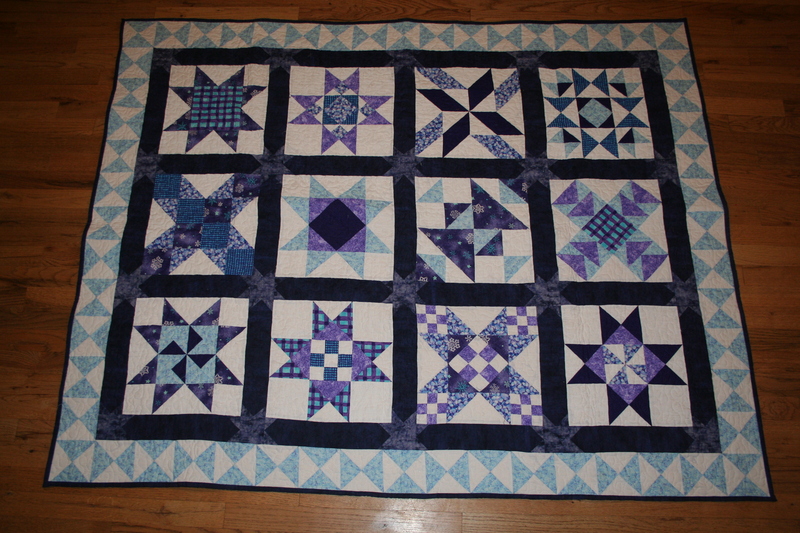 feature a different machine pieced quilt block to total 12 blocks. Rotary cutting techniques utilized. The class will end with instruction on sashings, cornerstones, and borders.